This products was formerly known as KEM SUPLAST TB 101S. Ready mix concrete. 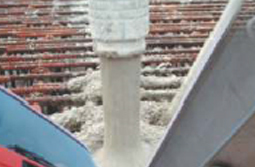 Pile concrete. Tremie concrete. Under cater concrete. High performance concrete, etc. Dosed between 0.5% and 2.4% by weight of cement. Maximum 3.50% at extreme climate. Compatible with all types of cement. KEM SUPLAST 101 is based on a blend of polymers. It is a brown liquid instantly dispersible in water. 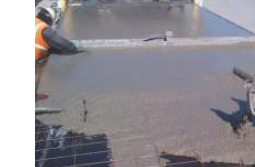 It will give flowing concrete or high strength concrete with extended workability. 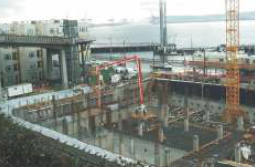 Structural Concrete, In-situ concrete, Pre-cast segments, column concrete, pile concrete, underwater tremie concrete, dams, pavement concrete. KEM SUPLAST 101 R is a chloride free, superplasticising admixture based on selected synthetic polymers. It is supplied as a brown solution which is instantly dispersible in water. It can provide self-leveling concrete practically eliminating the need for vibration during placing. It provides excellent workability and retention even at low water/cement ratio. 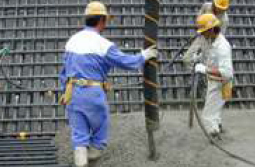 It is especially recommended for use in high workability concrete. 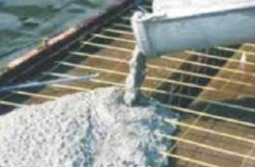 0.80 - 1.40 litres/100 kg cementitious material, for flowing concrete. 1.00 - 2.00 litres/100 kg cementitious material, for high strength concrete. KEM SUPLAST 101 G is a chloride free, superplasticising admixture based on selected synthetic polymers. It is supplied as a brown solution which is instantly dispersible in water. It can provide very high level of water reduction and hence major increase in strength can be obtained coupled with good retention of workability to aid placement. It can provide self-leveling concrete practically eliminating the need for vibration during placing. It provides excellent workability even at low water/cement ratio. It is especially recommended for use in high workability concrete and where fast shutter removal is required. 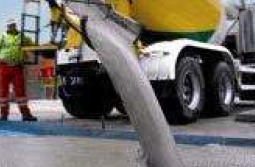 0.80 - 1.30 litres/100 kg cementitious material, for flowing concrete. 1.00 - 2.50 litres/100 kg cementitious material, for high strength concrete. High workability without segregation and bleeding. High early as well as ultimate strength. Better pouring consistency during casting. 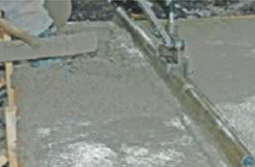 Pre-cast concrete. High performance concrete. 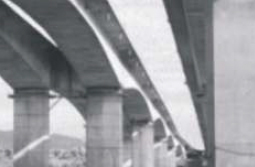 Pre-stressed concrete. Dosed between 0.5% and 3.5% by weight of cement depending upon the usage of concrete. KEM SUPLAST SCC 30 is a polycarboxylic either based concrete super plasticizer, disperses the concrete medium at a substantial lower dosage than conventional concrete superplasticizers and improves consistency as well as strength. Self consolidated concrete. High performance concrete. Underwater concrete. Ready mix concrete. Paver block. Dosed between 0.4% and 3% by weight of cement. KEM SUPLAST PCE 100 is an admixture of a new generation based on modified polycarboxylic ether. The product has been primarily developed for applications in high performance concrete where the highest durability and performance is required. KEM SUPLAST PCE 100 is free of chloride & low alkali. It is compatible with all types of cements. High early and ultimate strength concrete. High performance concrete for durability production of rheodynamic concrete. High workability without segregation or bleeding. 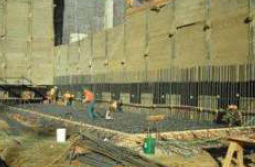 Precast & pre-stressed concrete. 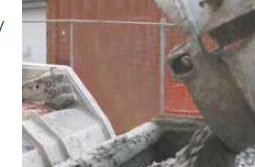 Concrete containing pozzolans such as microsilica, GGBFS, PFA including high volume fly ash concrete. Optimum dosage should be determined with trial mixes. As a guide, a dosage range of 500gm to 1500 gm / 100 kg of cementitious material is normally recommended . 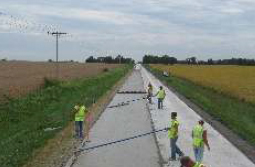 Because of variations in concrete materials, job site conditions, and/or applications, dosages outside of the recommended range may be required. 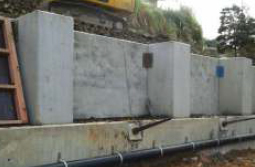 KEM SUPLAST PCE 150 has been primarily developed for application in the ready mixed and precast concrete industries where the highest durability and performance is required. Superplasticizing action of KEM SUPLAST PCE 150 is different than conventional super plasticizers based on sulfonated melamine and naphthalene formaldehyde condensate, which create electrostatic repulsion of particles. It initially create the same electrostatic repulsion & further stabilizers the mixes due to static repulsions of long lateral chains linked to the polymer backbone. The excellent dispersion properties makes it an ideal admixture for precast & ready mixed concrete where low water cement ratios are required. This property allows the production of very high early and high ultimate strength concrete with minimal voids and therefore optimum density. Duetothe strength development characteristics the elimination or reduction of steam curing in precast works be considered as an economical option. 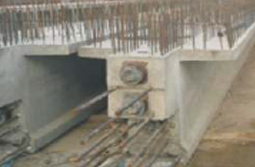 KEM SUPLAST PCE 200 has been primarily developed for application in ready mixed and precast concrete industries where the highest durability and performance is required. Super plasticizing action of KEM SUPLAST PCE 200 is different than conventional super plasticizers based on sulfonated melamine and naphthalene formaldehyde condensate, which create electrostatic repulsion of particles. It initially create the same electrostatic repulsion & further stabilizers the mixes due to static repulsions of long lateral chains linked to the polymer backbone. makes it an ideal admixture for precast & ready mixed concrete where low water cement ratios are required. This property allows the production of very high early and high ultimate strength concrete with minimal voids and therefore optimum density. Duetothe strength development characteristics the elimination or reduction of steam curing in precast works be considered as an economical option. KEM SUPLAST PCE 100 VM is a liquid admixture based on a blend of synthetic polymers. Incorporating KEM SUPLAST 100 VM adjusts the viscosity of a mix ensuring the right balance between flowability and resistance to segregation to be achieved. This cannot be achieved by addition of water due to possibility of segregation. Optimum dosage of should be determined with trial mixes. As a guide, a dosage range of 500 gm to 1500 gm /100 kg of cementitious material is normally recommended . 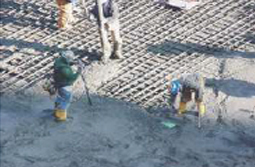 Becauseof variations in concrete materials, job site conditions, and/or applications, dosages outside of the recommended range may be required. KEM SUPLAST SPC 40 is a third generation high performance concrete hyper plasticizer, an opaque light brown colored solution of Poly Carboxylic Polymer. It disperses cement particles and fillers by electro static repulsion coupled with steric hindrance. 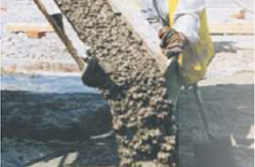 Stabilizes the cement particle's capacity to disperse and separate, result in highly workable/flowable concrete with greatly reduced water content. It allows water reduction up to 40% while maintaining workability. Thus with KEM SUPLAST SPC 40 we can produce concrete with high Early and ultimate strength with minimal voids and therefore optimum density. Dosage is approximately 0.8% - 1.3%. KEM SUPLAST PCL 20 is a high range water reducing and slump retaining concrete admixture, manufactured to comply to the IS 9103 and ASTM C 494 type A, Type B & Type D specifications. KEM SUPLAST PCL 20 is yellowish brown colored, ready to use liquid admixture formulated using polycarboxylate ether super plasticizers. KEM SUPLAST PCL 20 incorporates a new generation of highly powerful dispersant, which make the product possible to utilize the full potential of cement- water matrix at economical dosage. KEM SUPLAST PCL-20 is dosed between 0.5% and 1.5% of cement by weight. However the dosage can be increased up to 2% with prior consultation with our technical service department. KEM Suplast PCL 110 is a brown coloured liquid admixture based on modified polycarboxylate ether. It has been specially formulated to achieve high water reduction up to 20% and to give cohesive concrete mix even at low cement content. 0.4 to 1.0 kg / 100 kg of cement. KEM SUPLAST 110 R is dosed between 0.3% and 1.5% of cement by weight. However the dosage can be increased up to 2% with prior consultation with our technical service department. KEM SUPLAST 4A is a quick setting waterproofing liquid admixture for Portland cement based mortar. It is used for surface waterproofing against water infiltrations in porous rock or concrete as well as for cracks and joints through which water infiltrates. It can also be used in quick setting mortar for assembly work, eg. Fixing climbing irons, rag bolts, pipe supports, bolts, anchorages, repair work etc. KEM SUPLAST 101 RS is a high range water reducing & slump retaining concrete admixture, manufactured to comply to the IS 9103 - 1999 type E and ASTM C 494 - 86 type G specifications. KEM Suplast 101 RS is browncolored, ready to use liquid admixture formulated from selected watersoluble polycondensates and polymers. KEM Suplast 101 RS incorporates a new generation of highly powerful dispersants, which make the product possible to utilize the full potential of cement-water matrix at a very low dosage. KEM Suplast 101 RS is dosed between 0.3% and 1.5% of cement by weight. However the dosage can be increased up to 2% with prior consultation with our technical service department. KEM Suplast 128 UT is composed of synthetic polymers specially designed to allow considerable reduction of mixing water while maintaining control on extend of set retardation. It is preferred admixture for triple blend binder system based High Performance Concrete (HPC) mixes or mixes containing micro silica or metakaolin. It is chloride free. Optimum dosage of KEM Suplast 128 UT should be determined with trial mixes. As a guide, a dosage range of 600ml to 1800ml per 100kg of cementitious material is normally recommended. 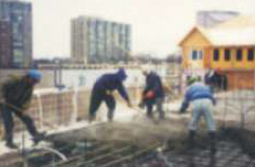 Because of variations in concrete materials, job site conditions, and/or applications, dosages outside of the recommended range may be required. 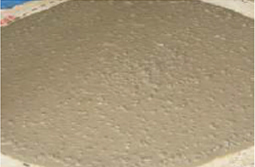 KEM SUPLAST SCC 30 VM 2 is a third generation high performance concrete hyper plasticizer, an opaque – light brown coloured solution of poly carboxylic polymer. It disperses cement particles and fillers by electro static repulsion coupled with steric hindrance. 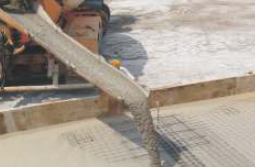 Stabilizes the cement particle's capacity to disperse and separate, resulting highly workable/flowable concrete with greatly reduced water content. It allows a water reduction up to 40% while workability is maintained.